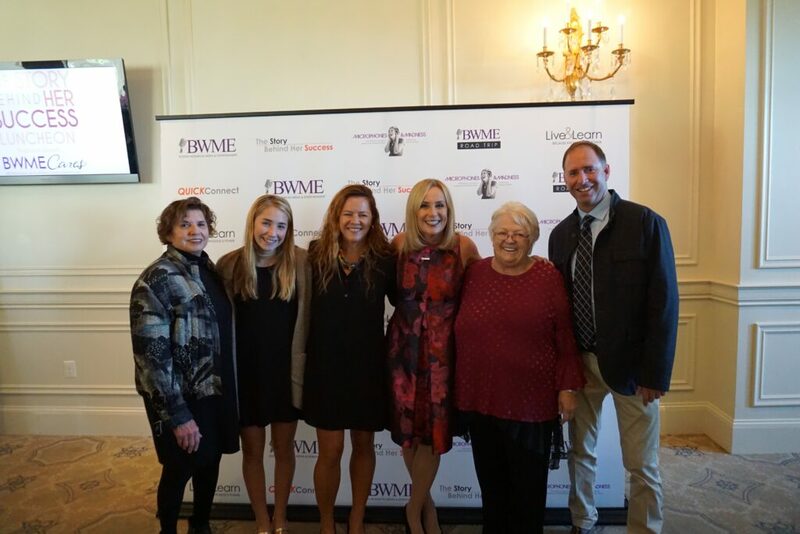 This past Friday, October 19th, our CEO, Megan Driscoll, participated in Candy O’Terry’s Story Behind Her Success Luncheon as a member of the incredible panel of inspiring women in the Boston area. As a panel member, Megan discussed her story and journey to where she is now and PharamaLogics’ success. Of all your success, what are you most proud of? We recently were able to hire an individual that is part of the Best Buddy program that offers unique opportunities to persons with developmental disabilities. Our hiree has been an amazing addition to the team. Absolutely the best thing I have ever done. What did you find most inspiring about The Story Behind Her Success’s panel? I was incredibly moved, as were most in the room, by Jessica’s story. She is living with terminal cancer and any day could be her last. Despite having small children, she sat on the panel and spoke courageously about her illness and how grateful she has become with the gifts in her life. I will forever remember her story, outlook on life and incredible strength. A true inspiration. What resources would you recommend to someone looking to gain insight into leadership and entrepreneurship? Find someone who has done exactly what you want to do successfully and ask them to be your mentor. I guarantee they won’t say no. Then listen to everything they say and learn from them! What advice would you give to a woman just starting her career? Do not take no for an answer and know that absolutely every ambition you have, all of your wildest dreams, are right before you, waiting to be taken. The only glass ceiling you will face is the one you create for yourself, or the one you let others con you into believing is there.